Organised religion has got such a lot to answer for, and for so many reasons, but one of the biggest confidence tricks ever pulled by religious leaders in the entire history of the human race, is that somehow, they have managed to convince the great unwashed that the mythological character we affectionately know as “The Devil”, actually exists. It is truly incredible how many millions of people over the centuries have succumbed to this ridiculous notion. 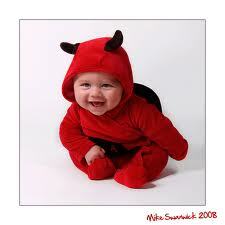 The word devil comes from the Spanish “diablo” which means “little devil”. Over time, many other names have been coined for this mythical character, such as Lucifer, Beelzebub and Satan; to name but a few. In truth, the word “Satan” is actually a symbolic term used to describe anything that causes us to stray from our spiritual pathway, such as the ego, the mind and the senses. Many centuries ago, religious leaders brainwashed people into believing that there really was a character called The Devil who would lead them to eternal damnation in the flames of hell if they were not careful. The character was eventually written into the Bible as a means of controlling the ignorant by their own fear. In truth, heaven and hell are not places that we go to; they are places that we create for ourselves, and our heaven or hell will be anywhere we want it to be at any time we want. It would be accurate to say that “hell” is what we experience in the mind whenever we believe that we are separate from God. This feeling of separateness occurs when we are experiencing something that is not in line with who we really are. By the same token, “heaven” is exactly the opposite. It is the inner bliss we experience when we are One with God. If we examine the whole concept of hell, what it actually states is that if we do not behave in a certain way we will be separated from God for eternity. This is actually impossible. If we are individualised particles of the whole that we call “God”, how can we ever be separate? Why would God banish a part of himself to eternal damnation? It simply does not make sense and can never happen. The ultimate reality is “All That There Is”, which in its natural state is empty space, or particles of emptiness that stretch to infinity and beyond. The astral and physical worlds are simply “All That There Is” manifested as form. So in reality there is nothing; nothing is all there is. But as individualised souls we have the power to create, and this is why we have a habit of creating sub-realities, like hell for instance, for ourselves whilst we are experiencing the physical world. Yes, hell may not exist but it sure can be a little devil at times.